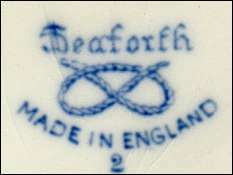 Earthenware manufacturer at the Trent, New Wharf Potteries and later the Stanley Pottery , Burslem. 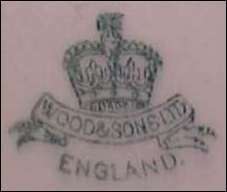 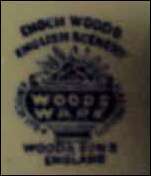 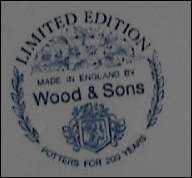 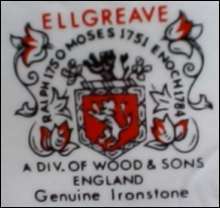 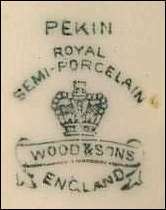 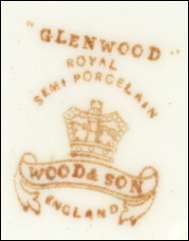 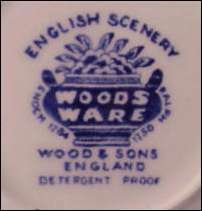 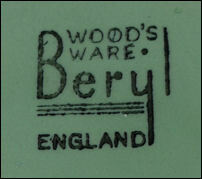 Similar marks (incorporating the Royal Arms) was used with "& SONS" and "& SONS LTD"
"Enoch Woods English Scenery" is the pattern name - this mark appears with different pattern names. 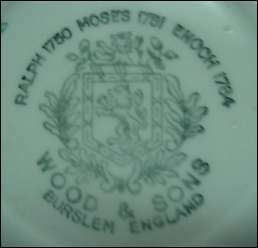 NOTE: each side of the urn mark appears "ENOCH 1784" and "RALPH 1750" - in spite of these dates this ware does NOT date from the 1700's. 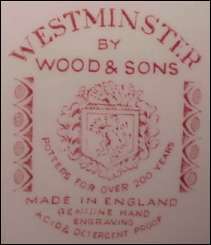 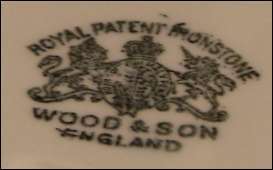 "POTTERS FOR 200 YEARS" Marks from 1950 onward sometimes bear the description "POTTERS FOR 200 YEARS" - this does not refer to WOOD & SON(S) who started potting in 1865 but to Ralph Wood, the eldest of three sons (Ralph, Moses, Enoch). 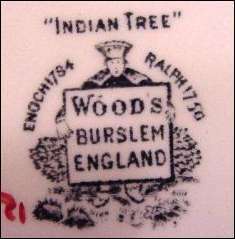 Ralph was born in 1715 and achieved renown round about 1750 with his famous and now rare Staffordshire figures, and especially his Toby Jugs. 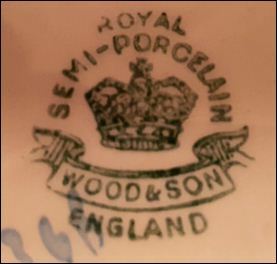 examples using the wording "POTTERS FOR 200 YEARS"
the lower mark is probably c.1960+ it has the words "POTTERS FOR OVER 200 YEARS" and "ACID & DETERGENT PROOF"